I was part of a A-Team lineup which spoke at the Avaya Engages 2015 in London this week. Three things just threw me for a loop. Location. Royal Opera House. Enough said. Garry Veale (President Avaya Europe) led it all off as MC and host and set the stage for us (funny for me to say ‘us’) to round up the crowd. Andy told us all about the changes being made in HOW Avaya is being seen and presented but also how our own direction is being adjusted by this new message. Gary led us all through a great tour of WHAT Avaya is doing in our different space with solutions, products are well as partnerships and acquisitions. Then I got up to do what I like to talk about best and that is WHY we should be doing all this. In my newly acquired role of evangelist I tell people who ask what that means that I tell other’s stories. Differing from the traditional sales or marketing approach of telling about what’s possible I go out and get 1st hand examples and turn them into stories to share and tell others. For this talk I told the story of how we got into this place and why we need to now focus on getting out of it. I took us on a 20 year journey most everyone there could relate with. How we all began building call centers to bundle all the work and efficiently manage it. Then as technology moved on we added email and the other communication channels one by one to the mix. Often these new channels are added, as many in the room confirmed, as a tick in the box effort. That means there was a directive issued from above that this year we will have social media customer service. That is the WHAT and the HOW and the most important WHY to understand the objectives of the directive were less than specific. So, very often in the view of costs and the lack of a WHY decisions were made to just add it, most often separate from the other communication channels. So, here we are in 2015 twenty years of customer care solutions in the make and most enterprises are, to be polite, pretty muddled. Basically a mess. Now comes the next set of directives and challenges. No doubt it, the world has changed. They way we communicate is different. Our relation with time has changed. Our experiences with goods, services and the companies providing them has also shifted. The buzzwords Digital Transformation, Omnichannel, Customer Effort & NPS scores are challenging almost every organization to adjust. This is just the point. Customers expect simple interactions. I click to view a movie on Netflix and it begins playing. I need car insurance, where do I click? Sure, not every process is ready to move to a click-and-done state but the expectations are already there. Since there will still be steps necessary in the process, those steps have better be lined all up and made easy. If not, there may not be the next 5 years. While that all makes sense, at least to me, it still is a story and not the kind of story I am looking for. 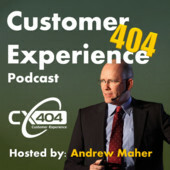 Call it omni, super transformed, effortless whatever, I am looking for those stories I can tell the next listener of how this can really change the way businesses interact with their customers. If you have any examples, leave a comment or send me a note. I’d love to talk about them here and elsewhere online. It still was a fantastic day in London. One I will not forget anytime soon.